Edit:Â Since the modding community died for the game so did the mod. I had to kill it since nobody wanted to assist, only ask.Â If anybody wants to revive it I can give you some of the models as long as you plan to use it in a modÂ andÂ to give credit to the modeler himself. I tried but nobody took me seriously enough as it was based on “Gundam” so the support was extremely lacking.Â Sorry for the hype and hope to see someone else either take it over or to see Bandai-Namco finally making a RTS or Open World game dealing with Gundam. After 2-3 years of dorment snoozing, I finally brought this Gundam mod back into a brighter light. This mod will take place in the Universal Century era from the Mobile Suit Gundam show up to the War in The Pocket. You will be able to fight it out as the Earth Federation Forces and the Zeons versus each other or the original Star Wars faction in a Galactic Conquest and/or Skirmish. Hmm. Ya I have been tardy with my blog posts but I couldn’t keep up with everything like I normally do. My interests are swaying in various areas. Well moving on with the lame excuses, I got Rin Kagamine on my last trip to my local anime store (Anime Stop), acquiring her her on the 17th of January, 2009. Miku Announces: ..Welcoming a new member to the SOS Music Brigade is Rin Kagamine! 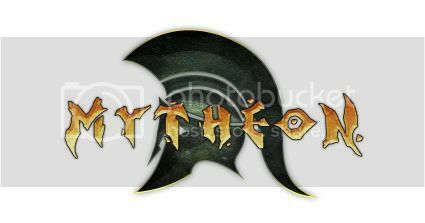 Well, with it being recently announced (Previous blog entry) it was kind of a shock to find a European hosted Mytheon site with slightly more content then the North American side. Petroglyph games is located in America, in the Las Vegas area and normally you would assume you would get more content from your home base then something across the globe. Here is the European site that I happened to find on Google search, but never heard about. http://www.mytheon-europe.com/ , choose a language and have a surf. For the lurkers here is the North America site, http://mytheongame.com/.